In honor of the 13th anniversary of September 11th. Our thoughts are once again with all those who lost loved ones. 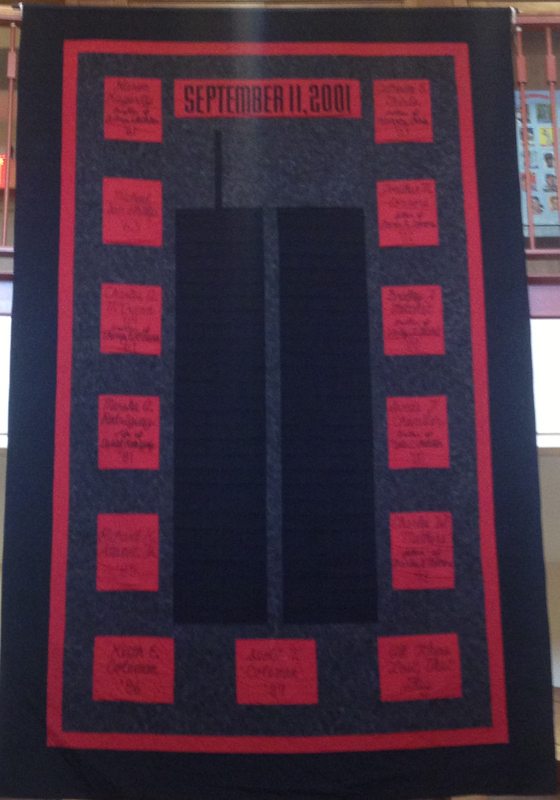 On display this week in the lobby of the Bunn Library, is the memorial quilt created in honor and rememberance of those Lawrentians whose lives were lost that tragic day. The quilt was created with the help of Claudia Casebolt, former faculty spouse. This entry was posted in Throwback Thursday by mkane186. Bookmark the permalink.